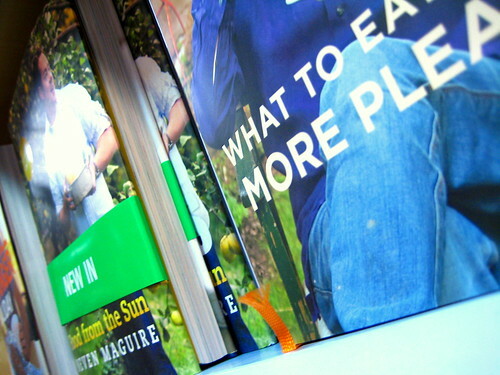 There are too many cookbooks and they all look suspiciously similar. There's some bloke gurning on the front and looking like he'll explode from how nice his life is and if you'd only heave your corpulence from the sofa for five minutes and cooked something from his book you might get a tiny tiny glimmer of his fantastic life in your own miserable stuttering, laughable excuse of an existence. Whoh, there MG. You're losing them. Here's an idea. Buy a blank book, one of those nice Moleskine ones Bruce Chatwin used and go to a mates house and cook something with them. Have a chat, reminisce, see what's going on their lives, take a few photos, or draw a picture, write down the recipe. In a few years, you'll have something special. Something rich and beautiful, heavy with the smell of time spent with friends old and new, good food and bad, laughter and probably a bit of smudged mascara. I'm going to do it. I bought mine today. It's red. I'll let you know how it goes. I agree. I actually have two such notebooks that are filled with clippings, recipes and memories of good meals. I like the idea of adding photos. My notepads aren't posh moleskin ones like yours but they are liberally decorated with blobs of food. ooh three in a row! no pressure, but keep em coming! A courgette is a zucchini. Nice to see you back blogging. Sophie: Hey, that's cool! Adding the photos is fun, good if you have a polaroid camera. Krista: Cheers! I've got my mojo back. Babs: I know :-) I was making a dumb joke.